Dubai is now home to the world’s third-best ranked transport infrastructure, according to a new report published by respected property analyst Knight Frank. The firm’s Hub Report compared seven major cities worldwide in terms of the performance of their respective infrastructure, logistics and industrial sectors. 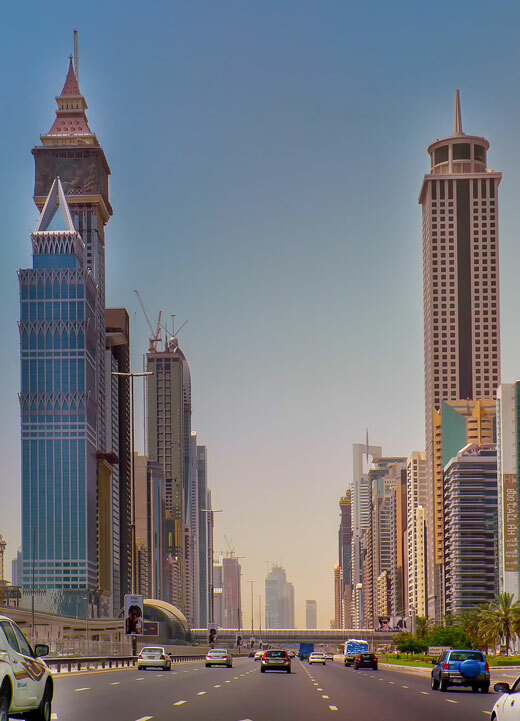 The Dubai government has invested billions in transforming the city’s transport infrastructure to support overall economic growth and in particular industrial growth. In the period 2007-2017, Dubai’s industrial sector expanded 10.7%, compared to Hong Kong (42.0%), Singapore (59.6%) and Shanghai (85.8%). However, the development of new infrastructure will see the city’s industrial activity grow by 57.4% over the next decade, outpacing these cities, according to the report. Dubai’s financial and business services sector expanded 55.6% during the surveyed period, with only Shanghai (114.3%) outperforming Dubai in this area. Knight Frank praised Dubai’s aviation infrastructure, which ranked third overall behind China and the United States. Ports infrastructure ranked fourth overall, while the city is one of the more affordable for industrial activity, with prime industrial rents priced at $103 per square metre, compared to the cheapest – Shanghai – at $101 per square metre. “As part of the UAE’s economic diversification plan (UAE Vision 2021) and Dubai’s Industrial Strategy 2030, the development of the industrial sector is seen as strategically important goal for the sustained long-term success of economy,” the report said.